Are you looking for fun boy themed Christmas gifts that you can make? 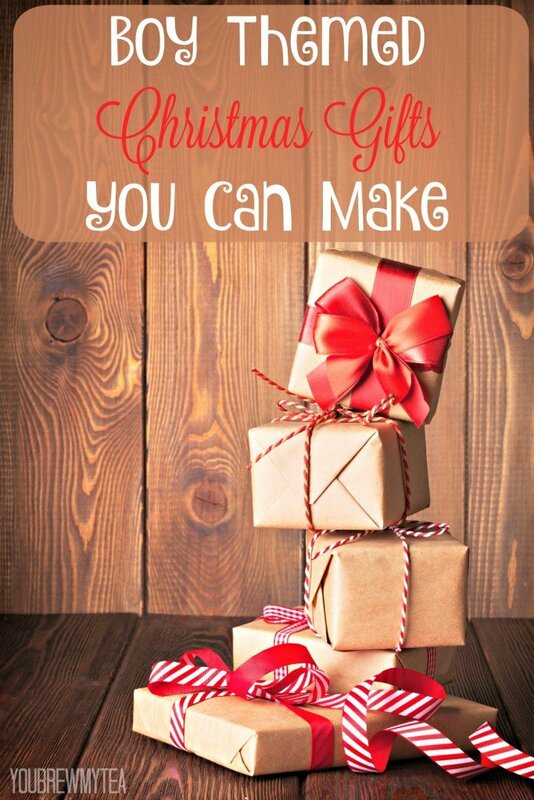 There are Christmas gifts you can make at home that your boys will loved. Not only will this save you money, but it will help you to give something unique and special to your kids. A handmade gift is something that will be cherished and held as a keepsake for years to come. These simple things you can create for your sons as unique Christmas gifts are perfect for staying in budget this year. Boys love to use their imagination and finger puppets allow them to do just that. You can make finger puppets out of felt, old gloves or even socks. A few simple additions like ribbon hair, googly eyes or strips of fabric to create ties, hats, or shirts can really create something fun they will love. You’ll have fun creating these little puppets for the guys in your life. Who doesn’t love putting puzzles together? Get creative and mod podge your own puzzle together for the boy in your life. Use craft sticks, old pictures you’ve placed on card stock, or draw and paint something truly unique. The covers off coloring books, their color pages or many beautiful and cheap pictures of their favorite characters can be printed and glued to a hard back to create a fun puzzle for your kids to put together. If the boys in your life love to spend time sword fighting then homemade swords are the answer. PVC Pipe, pieces of foam, cardboard and paint or fabric can be just what you need to create a fun homemade sword your kids will absolutely love playing with! If your sons like Minecraft, here is a great homemade Minecraft sword tutorial we found that works wonderfully! There is hardly a little boy that doesn’t enjoy making a fort right in the comfort of their own living room. You can help them pre-make a fort! Something they can use all year round. Gather up cardboard boxes and carve out windows, doors and grab paint to color them with. You can have supplies ready to do this with them, or create your own fun fort and have it setup for them when you get up on Christmas morning. If the boy in your life loves to read, build them a homemade bookshelf. This is something that’s a ton of fun to make and can be fairly cheap to make. It does involve some power tools and wood, but if you have those things on hand already, it can be a great budget friendly gift to give your kids. A few 2×4 pieces of wood, a sheet of plywood, some paint and stencils can create a unique bookshelf perfect for their bedroom library! These boy themed Chrismas gifts you can make are a great addition to the gifts under your tree this year. It doesn’t have to take everything you have in the bank to give your family gifts they will love. Check out some other awesome gift ideas!